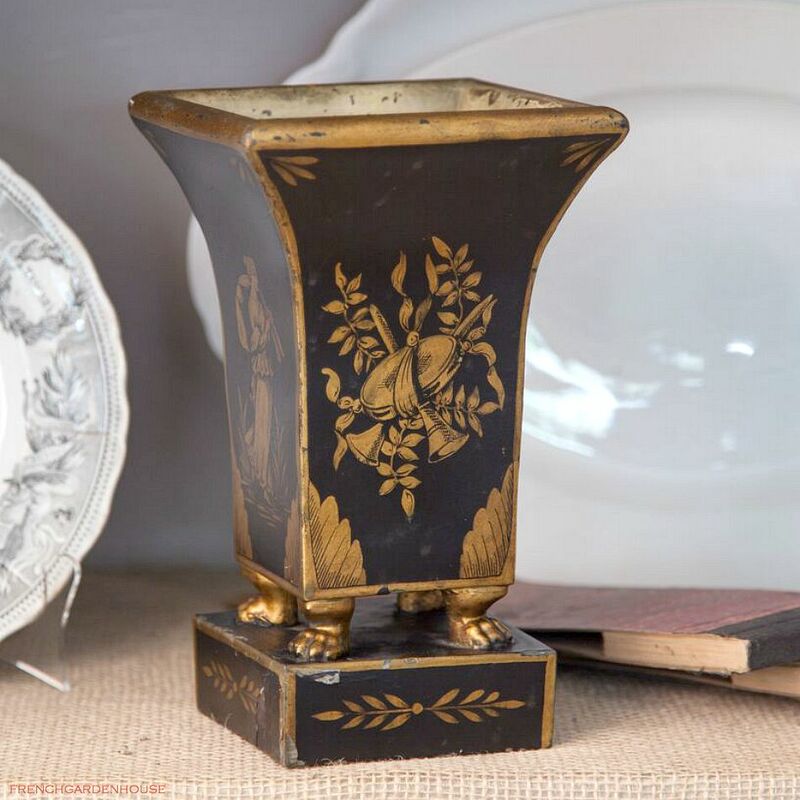 Antique French Toleware Urn, with classical musical motifs hand painted on each side in gilt. 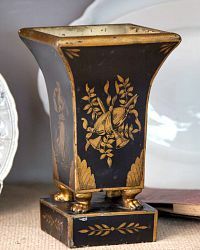 Well scaled, it has an everted lip with gilded trim at the top, and a tapering square body raised on paw feet resting on a square plinth. There are anthemions motifs at the corners. A fabulous additioin to your collection, two sides show the same musical instruments of horns and tamborine surrounded by ribbons and laurel leaves, the other two sides portray women, one playing the pipes and the other a dancer with a floral wreath. Wear as shown, with loss is commensurate with the age of this plant urn. Marked on the bottom made in France. 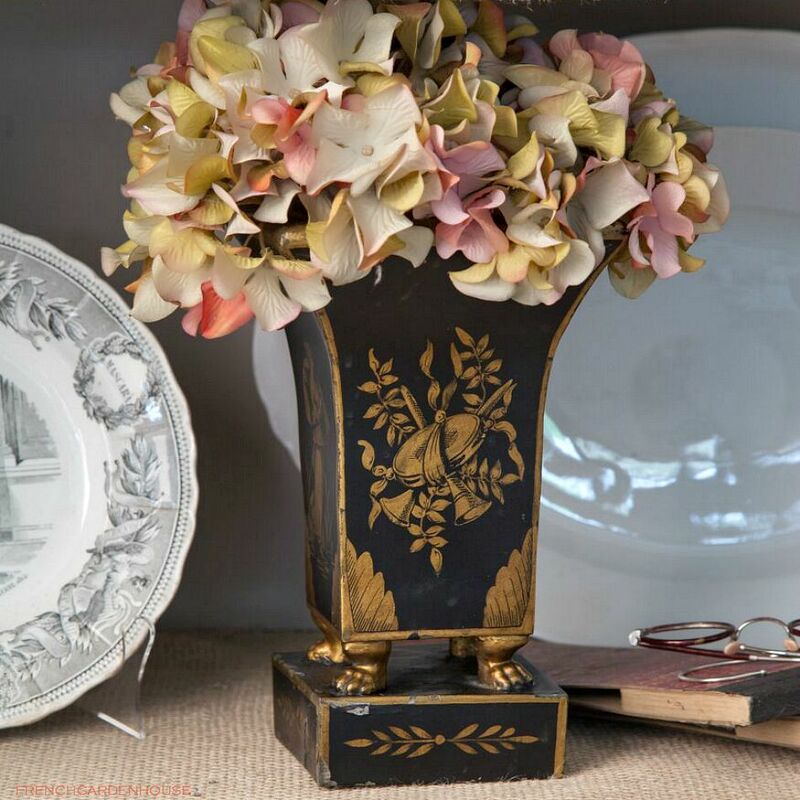 Display this on your mantel with a glorious orchid, this is so decorative it can stand alone as a sculptural piece of art. 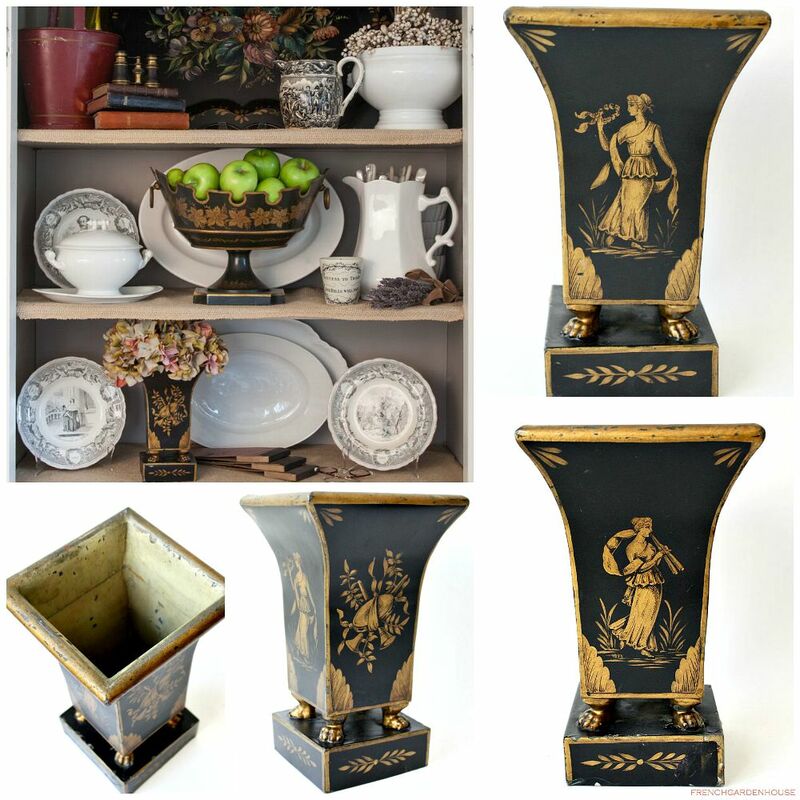 A delight for your collection, a wonderful gift when presented to your host or hostess with an exotic plant. Measures: 8~1/2" h x 5 ~1/8" x 5~1/8".